It's kind of hard to keep up with Kanye West these days since the dude is just so damned busy. Between his G.O.O.D. Friday leaks and the upcoming Jay Z-assisted Watch the Throne EP, it's easy to forget that the prolific producer/mc will be dropping his new full length, potentially titled Dark Twisted Fantasy, in November. That's, like, two months away! Fortunately, in the spirit of his recent leaks, we can get a sneak peak of the record's first single, the Bon Iver collaboration "Lost in the World," right now. Though it gently begins by sampling Iver main man Justin Vernon's tenderly Auto-Tuned croon from his "Woods" track, the busy cut eventually pits fist-pumping Balearic beats with some airy, minimalist synth swells, a choir of World Cup-inspired whoas and some Gil-Scott Heron sound clips. Oh, and Yeezy spits his familiar draw, referencing Michael Jackson whilst talking about busting from some pitiful party to go get laid. Incredible. 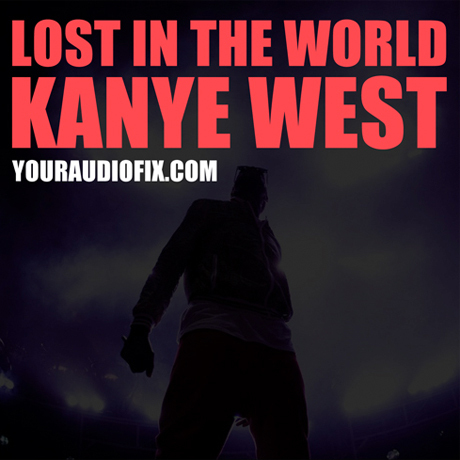 Check out a stream of "Lost in the World" over at YourAudioFix.com here.